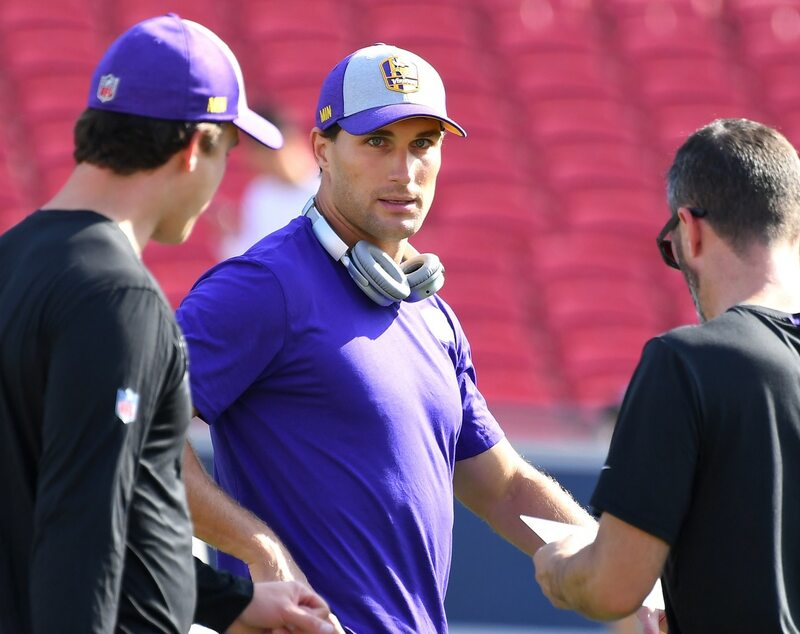 The Minnesota Vikings paid Kirk Cousins a ton of money during free agency last year, but after a mediocre 2018 campaign it’s clear the team needs to draft some insurance. The big picture: Despite putting up good stats, Cousins — who was signed to get the team over the hump — came up short in clutch moments. Leading the Vikings to a record of 8-7-1, Cousins oversaw an offense that regressed overall compared to the team’s 2017 campaign. This is all the more salient considering it was Sam Bradford and Case Keenum under center for the Vikings in 2017. Even more dubious is the fact that, after losing to Chicago in Week 17, Cousins now sports an abysmal career record of 4-25 in starts against teams with a winning record. Furthermore, the Vikings have nobody behind him who can be relied upon. At this point, Kyle Sloter (he’s never played in an NFL game) is the backup. Build through the draft: Free agency was a dung heap at the quarterback position this past March. The only way to fix this issue is to draft a player who can potentially take over for Cousins in the event of an injury, or if he just continues to prove inadequate as a franchise savior. Because Minnesota isn’t desperate, it doesn’t have to take a quarterback in Round 1. However, it would be smart to select a quarterback in the first few rounds, because this year’s class is pretty thin. Round 1: Should Minnesota have its eyes on a first-round quarterback then there could be a few options at No. 18 overall. It’s rumored that Dwayne Haskins might take a draft-day tumble. If he lands in Minnesota’s lap then the Vikings would be foolish to pass up the Ohio State product. Daniel Jones out of Duke reminds some of, ironically, Cousins. He could be an ideal candidate to become his replacement. Depending on how they view Will Grier, the Vikings could gamble on the West Virginia gunslinger, who could use a bit of seasoning before he starts in the NFL anyway. Rounds 2-3: Minnesota has the No. 50 overall in Round 2, and the 82nd overall pick in Round 3. The Vikings could land a steal here, depending on what happens early on. There is a chance Grier might still be available midway through the second round. If he’s there, and if Minnesota likes his game, this should be a gimme. Ryan Finley is an intriguing option. He improved every season at NC State and is a smart, accurate passer. Tyree Jackson is a project, to be sure. However, his physical tools are incredible, and given Cousins still has two years left on his fully-guaranteed contract the Vikings have time to develop him. He’s a must faster Daunte Cullpepper-type gunslinger. The bottom line: Obviously the Vikings aren’t going to go all-in on a first-round quarterback in the draft because they see themselves as championship contenders. However, the organization has to be honest about the fact that Cousins did not live up to expectations in 2018, and that he might never do so. With that in mind, it would be foolish to not plan for a future that doesn’t involve Cousins. And that means finding his eventual successor, before it’s too late.